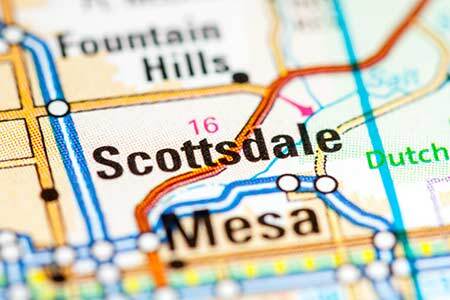 Scottsdale, Arizona—A woman accidentally drove her SUV onto a sidewalk where she struck two men on Tuesday afternoon. The midsize SUV was in the parking lot of the Safeway store at Scottsdale Road and Shea Boulevard when it drove onto the sidewalk in front of the store. Scottsdale Fire Department arrived on scene to assess multiple two injuries. Bot men were transported to a hospital, one of them in serious condition. Accident investigators with the Scottsdale Police Department described the driver as a 70-year-old woman and her passenger as an elderly woman. The passenger was transported to a hospital with moderate injuries. The driver was not injured. We wish all swift and full recoveries.